Last week US President Donald Trump told Israeli Prime Minister Benjamin Netanyahu the US would no longer insist on the creation of a Palestinian state as part of a peace deal between Israel and Palestinians. By doing so, Trump broke with long standing US policy and effectively endorsed a Jewish-only state with Palestinians as second class citizens. He also told Netanyahu to “hold back a bit” on settlement expansion. Because information about how the Israeli occupation works is sparse in American media, explainer sites usually fill the gap. Which is how the liberal news and opinion website, Vox came to re-up its “Israeli settlements explained in 8 minutes” video on social media. The video was quickly shared widely on Facebook and Twitter. But few who watched the video, shared it, or “liked” it is an impartial explainer, paused to parse its or Vox’s politics on Israel. To drive Vox’s points home, the video was also accompanied by some text. Vox, founded in 2014, presents itself as “pioneer of explanatory journalism,” but its glossy presentations crisp design and slick animations serve to repackage a rapidly disintegrating Third Way liberalism in a way that is easily digestible to younger people and conducive to social media shares. During the Democratic primary, Vox published pieces attempting to rally progressives behind Hillary Clinton, by critiquing Bernie Sanders’ policy proposals using the logic of neoliberalism, defusing the various scandals that plagued Clinton’s campaign and humanizing her with softball interviews. Trump’s upset victory has hopefully prompted some introspection from liberal Democrats, especially after all the self-celebration and gloating that took place over the course of the campaign. In September, Vox expanded its international coverage and delved deeply into the Arab-Israeli conflict. The results were, unfortunately, anything but pioneering or explanatory. That’s when it first introduced the “Israeli settlements explained in 8 minutes” video. It is especially egregious. The video presents a history of the settlements which is notable only for its glaring omissions and distortions. Even granting some license for the inherent brevity of the medium, the omissions and distortion of the narrator, Johnny Harris, should not stand unchallenged, particularly at time when the nature of settlements has reentered the public debate and prompted some debate within the Democratic Party on its positions vis-à-vis Israel. …when the map looked a lot different. Back then all this land was controlled by Great Britain and due to growing tensions between Jews and Arabs, the UN worked with Great Britain to split the land into two states… the Jews in the region accepted this plan and declared independence as the state of Israel, but the Arab states in the region saw this plan as just more European colonialism. They didn’t accept this plan, and instead declared war on Israel. Of course, without the context of the first half century of Zionist emigration to Palestine, and the Zionist movement’s position relative to the European conquest of the disintegrating Ottoman Empire, viewers might be left wondering how so many Europeans ended up in Mandatory Palestine or how the British ended up in control of the territory in the first place. The origins of the conflict between the Israelis and Palestinians, despite often being framed in the West as an ancient religious feud, are actually thoroughly modern, and, like many contemporary political conflicts in the Third World, they are easily traced to the late 19th century. For Harris’s story, naturally, this context does not warrant mentioning. Zionism developed in Europe during the late 19th century as one political response to rising anti-Semitism and the crystallization of national identities that excluded Jews. But Zionism was not then and is not now a political solution to European anti-Semitism. As Sherene Seikaly argues, “Zionism continued the Enlightenment’s idealization of the nation-state and its hierarchical understanding of humanity. It promised Jews that they could finally become European but only by leaving Europe.” As the public call by Netanyahu for Jews in Europe to emigrate to Israel demonstrate, the one premise that Zionists and anti-Semites agree on is that Europe’s Jews do not belong. World War I created a convergence of interests between Imperial Great Britain and the Zionist movement in Europe, leading to the former to declare its support for the creation of Jewish homeland in Palestine. By the end of World War II, the nascent United Nations proposed partitioning Mandatory Palestine into two states, one for the Zionist settlers and one for the Arabs. The proposed borders of Israel would have constituted more than half of Mandatory Palestine, while Zionist settlers were only one-third of the population, at most. With this context, perhaps Harris would not be able to dismiss Arab rejection of the partition plan as flippantly as he does. According to prominent Israeli historian Illan Pappe, during the ensuing war of 1948, Zionist military forces undertook an ethnic cleansing campaign to create a demographically unassailable Jewish majority in the area that was set to be granted to them under the terms of the partition plan. The argument that the displacement of 750,000 Palestinians in 1948 was the result of this concerted campaign, a position maintained by Palestinians from the outset, has become more widely accepted in Israel and the West. These Palestinians and their descendants, now numbering in the millions, remain stateless in neighboring Arab countries. The fact that their right to return to their homes, though upheld by international law and recognized by the United States, is largely viewed within Israel as an existential “demographic threat,” demonstrates that Zionism in Palestine cannot coexist with the full-realization of the rights of non-Jews living under Israeli control. This is acknowledged in Israeli decision-making circles, and is understood as a major contradiction between Zionism in Palestine and democracy, even by centrist Israeli politicians. Once Harris gets to 1967, the omission of context becomes more and more glaring. He claims simply that “Israel fought a war with its Arab neighbors” in that year, and wasn’t looking to “take over land.” To say that Israel, “fought a war” in 1967 is technically true. It is also an interesting way to avoid mentioning the fact that the 1967 war began with a surprise attack initiated by Israel on the Arab states. The Six Day War, as it came to be known in the West, is held up by liberal luminaries like Michael Walzer, as the prototypical example of a just, preemptive, war of defense. Walzer argues as much without taking into consideration the fact that Israel’s military superiority allowed it to decimate the Arab armies in just six days. Perhaps the ostensible justification for the preemptive strike, the threat posed by the Arab regimes, was a bit overblown. Such arguments about the 1967 war are also difficult to sustain for the glaringly obvious reason that Israeli still, in fact, occupies much of the land it conquered that year, despite UN Security Council Resolutions calling for Israel to withdraw from the territory. How can anyone actually claim that Israeli government was not looking to “take over land in this war,” when it still controls this territory after 49 years, and began constructing settlements and displacing the people that lived there immediately? Harris moves on to the post-1967 scenario. “Suddenly Israel had a decision to make, do they make the West Bank a part of Israel and give the 1.1 million Arabs living there Israeli citizenship and voting rights?” Harris’s matter-of-fact assertion that the rights of those living under military occupation are subject to the strategic considerations of Israeli decision-makers is only sustainable through the dehumanization of the former, a dehumanization that is a necessary component of Zionism in Palestine, not just a distortion by the movement’s fringes. Harris portrays the initial wave of post-1967 settlers in the West Bank and Gaza as civilians “establishing a Jewish presence,” a strange euphemism for settler colonialism. 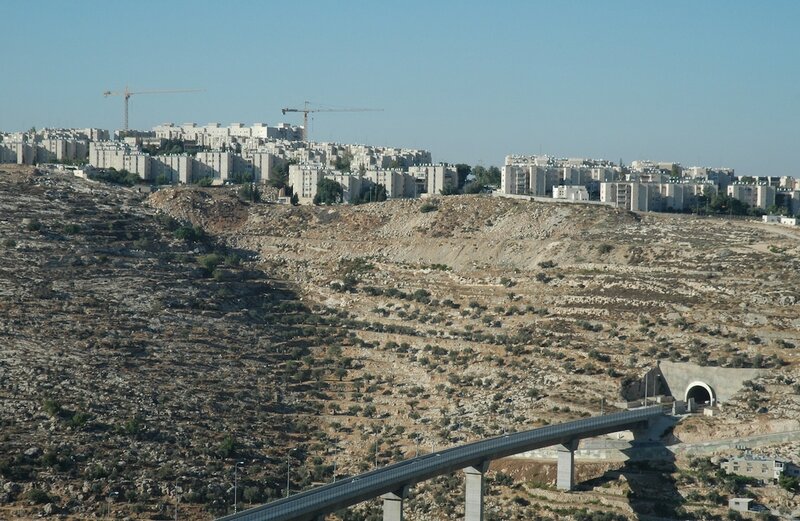 Of course, the fate of the settler now becomes a major consideration for the Israeli government in a way the fate of the Palestinian never was or will be. No one would argue that an investigation into the motivations and personal beliefs of settlers is a useless exercise, if done properly. But Johnny Harris does not claim that this is an investigation of that sort, the piece is described as an “explainer” for Israeli settlements. As such, it is poorly executed at best and irredeemably biased at worst. The narrative of Johnny Harris is symptomatic of a problem that plagues discussion of this issue, even at a level above the zero-context cable news; that the perspectives of colonizers and oppressed should somehow be given the same consideration as those of the colonized and the displaced. But is Israel’s status as a settler state subject to debate? Does it matter if the settler at the end of the video does not consider herself to be a settler? In an intellectual environment in which discourse is the lens through which politics is understood, everything is up for debate. “Post-truth politics” is not just a pathology of the American political scene that allows white men or Christian conservatives to claim that they are an oppressed group. It is a pathology that allows Israeli commentators to claim Palestinian refugees as Israelis that “immigrated” or “moved” from Israel, that allowed Netanyahu to claim on national television that dismantling settlements would constitute ethnic cleansing. This environment accelerates the unmooring of politics and history from any objective understanding of power, not only by the calculated obfuscation of the right, but by liberalism’s inherit tendency to revise history in order to obscure power relations. Thanks to outlets like Vox, the drift away from the shore continues in eight-minute intervals.